Last Friday, March 29th at around 6:00 PM EST, in a shocking move that comes as a huge win for the gun-owning residents of California, California’s long-standing ban on “high capacity magazines”, was declared, “...unconstitutional in its entirety and shall be enjoined.” by the US District Court, Southern District of California. In case number 3:17cv1017-BEN (JLB) centered around CA’s magazine ban AKA California Penal Code § 32310, and included an excellently-written, compelling introduction highlighting the need of citizens for these magazines. Unfortunately, now out of ammunition, she was shot again by the other armed attacker. She was not able to re-load or use a second gun. Both she and her husband were shot twice. Forty-two bullets in all were fired. The gunman fled from the house—but returned. He put his gun to Susan Gonzalez’s head and demanded the keys to the couple’s truck. When three armed intruders carrying what look like semi-automatic pistols broke into the home of a single woman at 3:44 a.m., she dialed 911. No answer. Feng Zhu Chen, dressed in pajamas, held a phone in one hand and took up her pistol in the other and began shooting. She fired numerous shots. She had no place to carry an extra magazine and no way to reload because her left hand held the phone with which she was still trying to call 911. After the shooting was over and two of the armed suspects got away and one lay dead, she did get through to the police. The home security camera video is dramatic. A mother, Melinda Herman, and her nine-year-old twins were at home when an intruder broke in. She and her twins retreated to an upstairs crawl space and hid. Fortunately, she had a .38 caliber revolver. She would need it. The intruder worked his way upstairs, broke through a locked bedroom door and a locked bathroom door, and opened the crawl space door. The family was cornered with no place to run. He stood staring at her and her two children. The mother shot six times, hitting the intruder five times, when she ran out of ammunition. Though injured, the intruder was not incapacitated. Fortunately, he decided to flee. The examples continue in the piece, and highlight both the need for these magazines and the hypocrisy of prosecuting people for possession of them, often with stauncher sentences than for actual violent crimes. The full docket is some 86 pages long and filled with tons of excellent information on the case itself, as well as the methods utilized by the lawyer who submitted the request. This is a momentous occasion, and one that could very well start a tidal wave of changes to gun laws nationwide. If it can happen in California, then any state could conceivably change its laws. 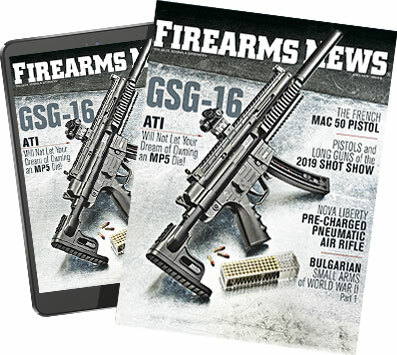 Interestingly, after this new went live, multiple citizens of California attempted to purchase standard capacity magazines from their local retailers, and all were denied. According to multiple first-hand accounts at both CalGuns and AR15.com, several dealers told customers they were waiting on the DOJ’s response. 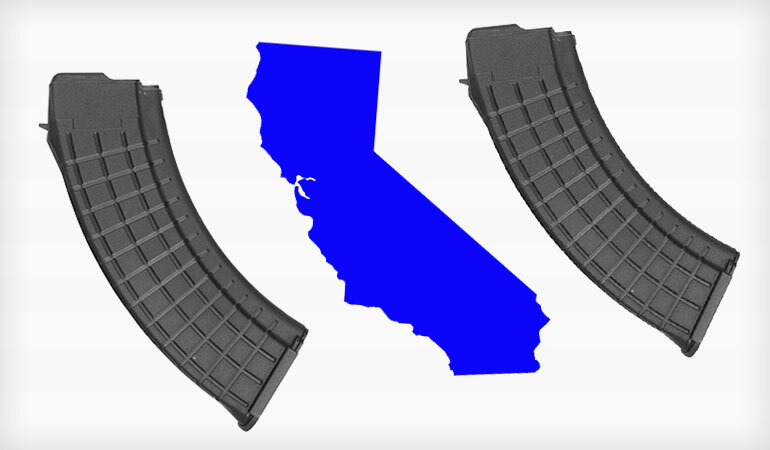 In the meantime, some larger companies like Palmetto State Armory have begun to sell and ship standard capacity magazines to CA residents. CA shooters who’ve always wanted to get their hands on full capacity Magpul PMAGs may want to purchase now, as stocks at multiple retailers are likely to be rapidly consumed. More information, including the full court docket is available over at Michellawyers.com. Check out the direct link to the PDF of the case here.